Please join in a time of prayer and focusing our reliance on God the first Thursday of May. And yet everyday is a great day to pray. Patriot prayer matters! After 9/11 we came together as a people. We’re not all the same, but we came together, flew the flag and prayed together. Spurning the annual Prayer Breakfast the president has had a damning effect on America’s perception of the Almighty and prayer. Today, the arrogance of the administration to pick and choose laws to uphold and do whatever it wills is appalling. Do the people think they can pick and choose from a smorgasbord of public policy, public assistance, and presume that God is optional in the affairs of men. From Congress to the state house and party conventions, there is much evidence of a lack of an authentic constitution-based system but rather a labyrinth of arrogance and intrigue effectively hiding truth from WE THE PEOPLE. This is alarming. Prayer is important for lifting up our nation, state, counties, communities, teachers, churches, pastors, civic leadership, elected officials as well as candidates for office. Ask God for wisdom to discern truth from error, and for wisdom to make wise choices. 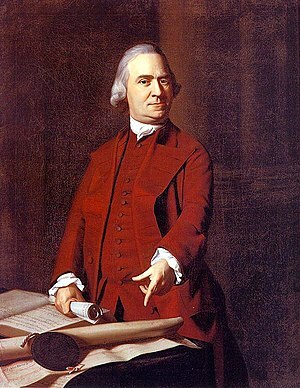 Again, the words of Mr. Adams are so appropriate because elections have consequences. May God bless you, the state and nation. → Benghazi Murders Were “A Long Time Ago” Says Hillary Clinton. Oh?